When being hunted by a terrifying demon referred to as a 'Reaper, the last place one should think of venturing into is a scary old elven fortress on top of a snow-covered mountain. It seems that Wil, Amberle, and Eretria have a different set of logic than most people, even when being instructed by the untrustworthy Cephelo. While not the smartest move, it sure does make for one entertaining hour of The Shannara Chronicles. 'Pykon' went much darker than the series has in its first few outings, with torture and even the death of a young girl named Mag (Anias Shand). The ancient fortress was the perfect setting for this episode, which would have been perfect if it were released around Halloween. Little Mag bares a resemblance to Newt in James Cameron's classic sci-fi horror film Aliens. Like Newt, she ends up helping the group more than they could have imagined and pays the ultimate price for her bravery. Haunted castles aside, things back in Arborlon are getting complicated. The Changeling's plan to get rid of Allanon the druid worked to perfection. It's too bad the king is dead, but that fact that we still get to see veteran actor John Rhys-Davies every week is wonderful news. It will be interesting to see how long the Changeling will remain in that form. As leader of the elves it would make sense for it to stay put until the Dagda Mor instructs it otherwise. Arion appears blinded by his father's affection and will unlikely detect the Changeling's deception until it's too late. Arion's younger brother Ander had an engaging story line this week, as the young prince made a new ally. Slanter may have killed his brother all those many years ago, but in a time when the lives of all races are on the line, they must unite. Ander might pretend otherwise, but his feelings towards commander Tilton remain strong. Hopefully he won't let that get in the way of his relationship with his brother, otherwise the Changeling can just sit back and watch as the elven royal family destroys itself from the inside. Allanon's disappearance this week was unexpected, since he's played such a crucial role so far. It seems unlikely that the fearless druid is dead. He appears to have evaporated, but to where exactly is something we'll have to wait and see. Manu Bennett is giving that role his all in every scene that he's in, just like he did when he played Deathstroke on Arrow and Crixus on Spartacus. It would be a shame to lose him this early in the game. 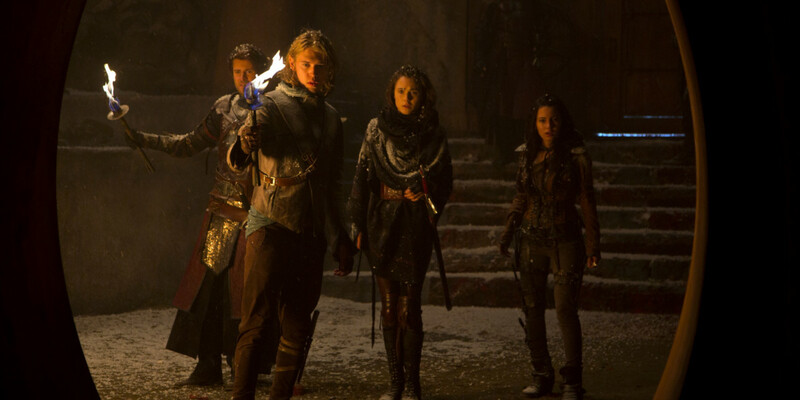 The Shannara Chronicles continues to be a fun source of entertainment for fantasy and sci-fi fans alike. What do you think of Wil, Amberle and Eretria's journey so far?